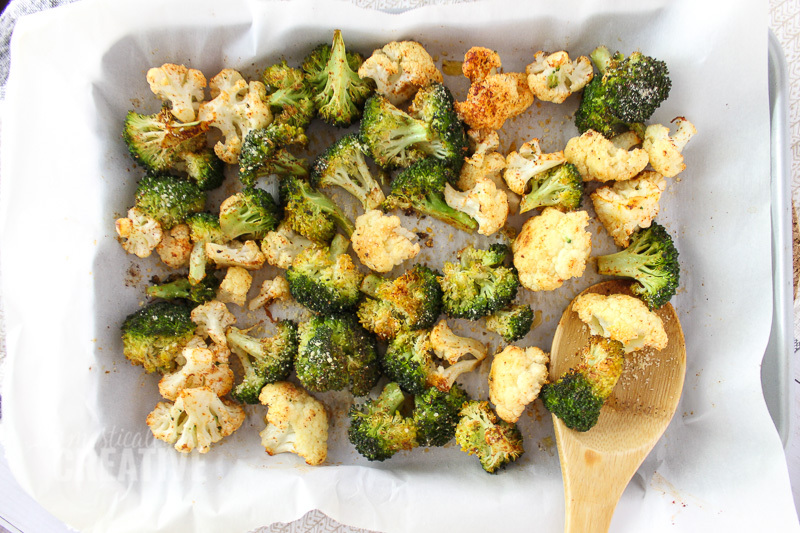 Oven roasted broccoli and cauliflower makes the perfect vegetable pairing to any meal, and it only requires a handful of simple ingredients. 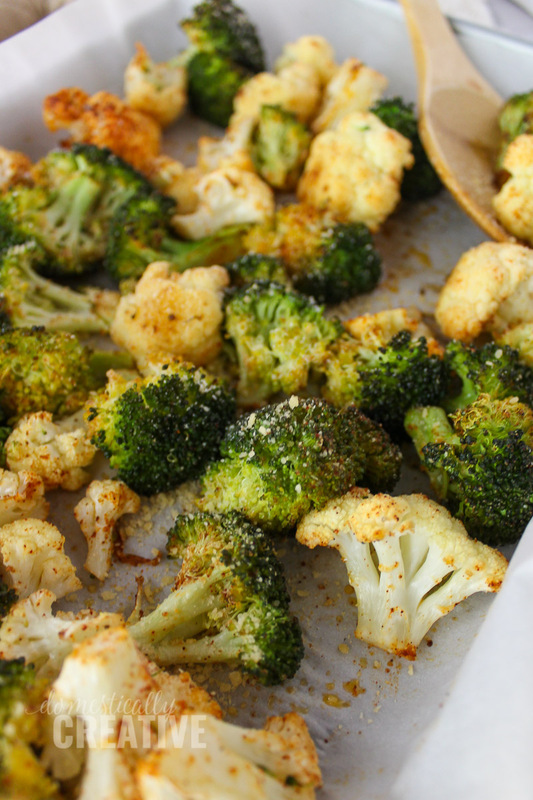 Sticking with a low-carb diet means we eat so much broccoli and cauliflower in our house. We seriously go through a whole head of cauliflower and at least 2 bunches of broccoli a week. 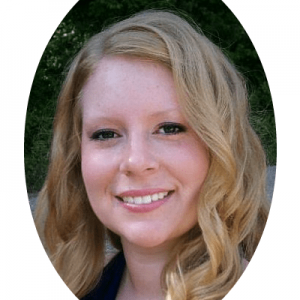 Yes, you read that right–a week! 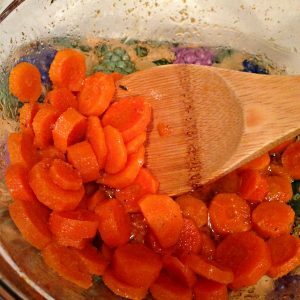 Because we eat so much of the stuff, I needed an easy way to prepare it, that isn’t just your boring run of the mill steamed version. 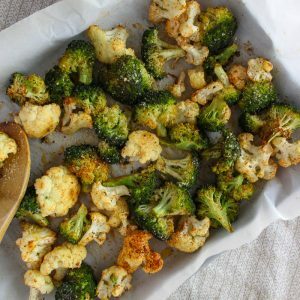 Not that there’s anything wrong with steamed broccoli and cauliflower, but after awhile of eating it over and over again it gets a little old! 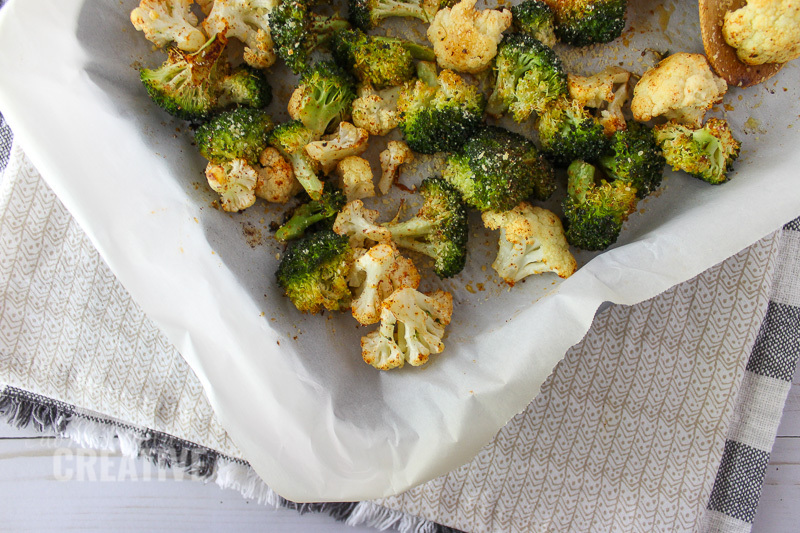 Oven roasted broccoli and cauliflower far from boring, and it’s so easy to make! Just a few simple spices, some oil and you’re set! 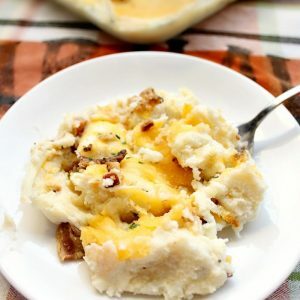 You could even make this recipe as just broccoli or just cauliflower. It works out the same way. 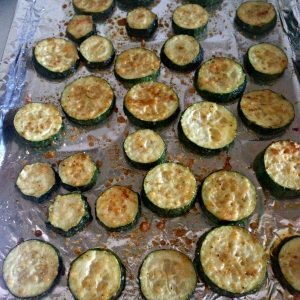 The preparation is pretty similar to my oven roasted zucchini that I make quite often too. The blend of spices, mixed with oil and high oven temperature really brings out the flavor of the vegetables and makes them so tender and delicious. 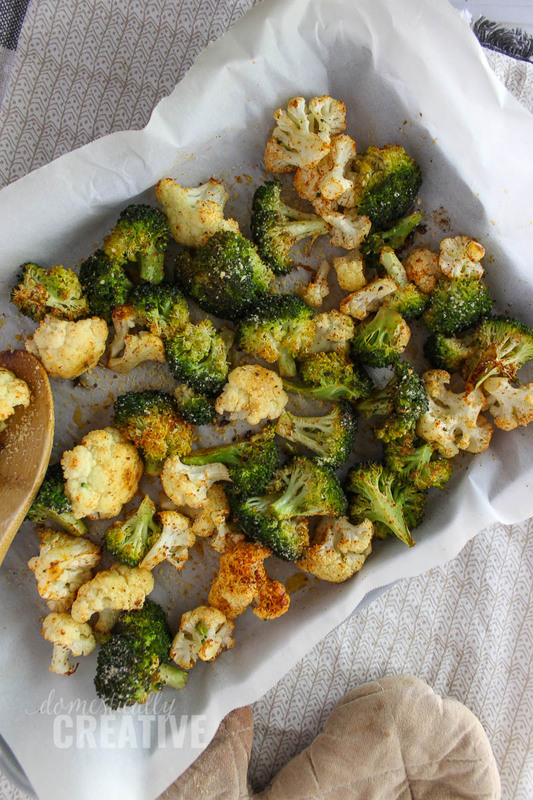 In a large bowl, toss broccoli and cauliflower in olive oil and seasonings. Place on prepared baking sheet, and place in the oven. 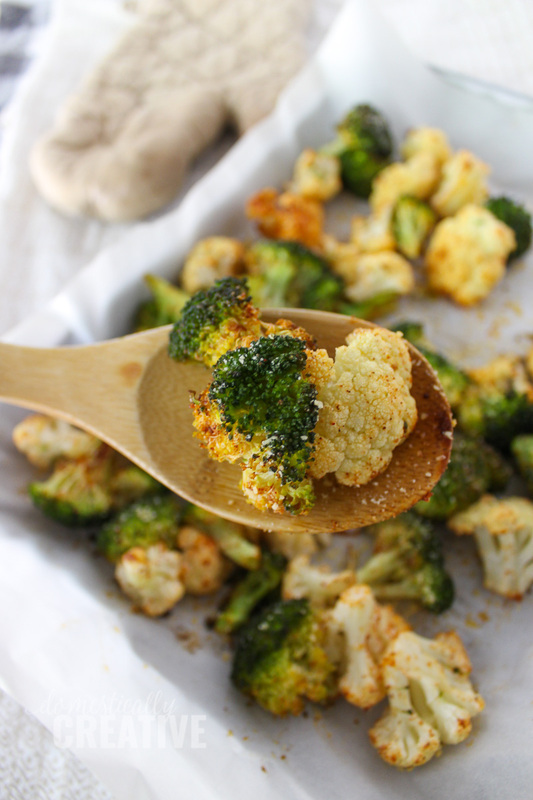 Bake for 25 minutes or until broccoli and cauliflower are fork tender. Omgosh this looks incredible! I love broccoli and cauliflower but I have always made it on the stove top. Can’t wait to try this out to free up some burner space while making dinner. Thanks for the delicious recipe!